Beishan Broadcast Station, on the island of Kinmen in Taiwan, was once the loudest thing around. 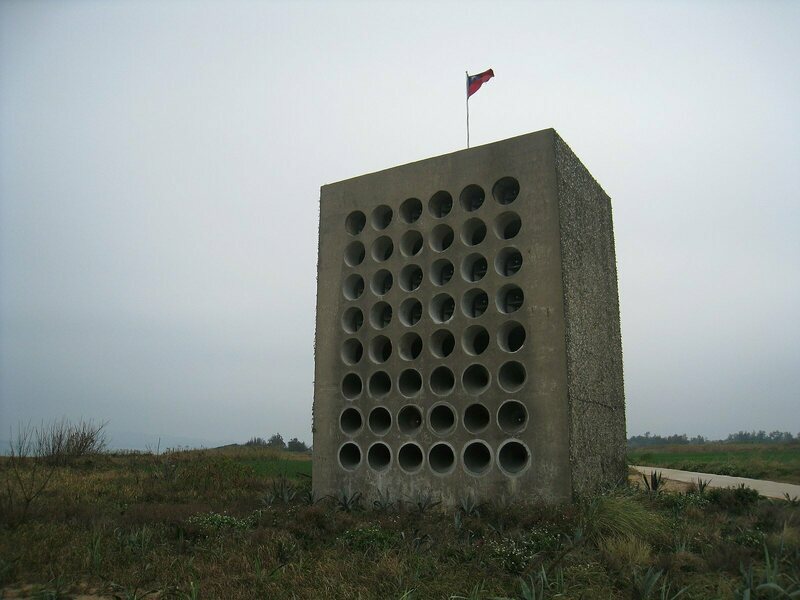 Built in the late 1960s as a military weapon, the 30-foot-tall concrete block is honeycombed with 48 large holes, each home to a separate speaker. When it's turned up full blast, the sounds the station makes can be heard up to 15 miles away. Indeed, that was the point: Until it was taken off duty in the 1970s, the mega-megaphone was used to holler anticommunist messages across the Taiwan Strait, from Kinmen into China. This weekend, it will serve a different purpose. As Artnet reports, a group of artists has decided to reactivate Beishan Broadcast Station for a sound art performance. Led by the Taiwanese artist and curator Ada Kai-Ting Yang and the French artist Augustin Maurs, the performance, called "Sonic Territories," will "investigate aspects of sonic propaganda" while "exploring imagined territories and soundscapes," its website says. China and Taiwan have long had a contentious relationship, as both sides claim sovereignty over the nation. 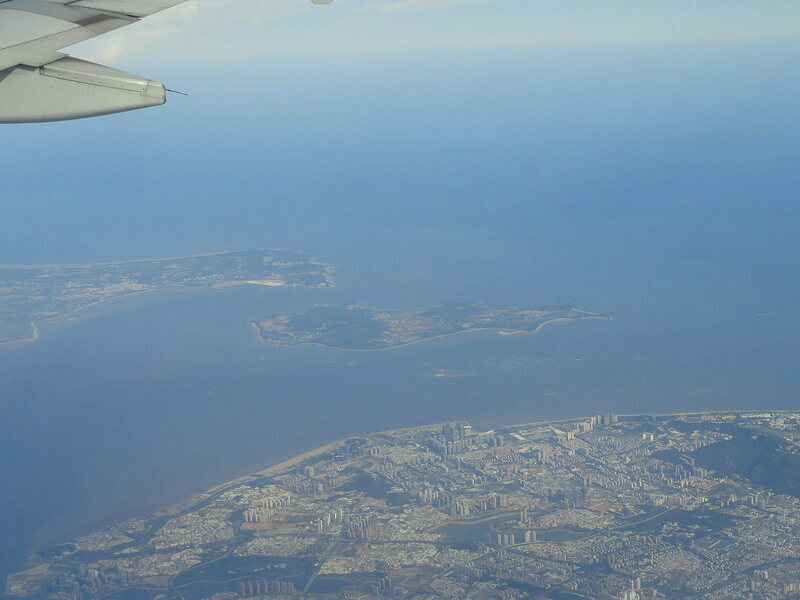 In the 1950s, this contention repeatedly erupted into violence, much of which took place in and around Kinmen, which became a massive military installation. After the first Taiwan Strait Crisis, during which China bombed Kinmen, ended in 1955, troops on the island erected several propaganda speakers. In 1967, Taiwan built the Beishan station, and started regularly broadcasting messages meant to demoralize the other side and bolster their own. According to some sources, one popular message was, "Our steamed buns are bigger than your pillows!" People on both sides of the water found this method of dissemination difficult to live with. “From what I understand, it was really loud—for some disturbingly loud,” Maurs told Artnet. “They are not necessarily good memories for the people of [Kinmen]." Kinmen stopped using the speakers for such things sometime in the 1970s, opting instead to occasionally play the songs of the Taiwanese pop star Teresa Teng, at moderate volume, for the benefit of tourists. "Sonic Territories" will take place on Sunday, August 26, 2018 to commemorate the 60th anniversary of the start of the Second Taiwan Strait Crisis, which began on August 23, 1958, and involved China once again shelling the island. Besides Maurs and Yang, it will also feature work by the feminist performance artist Hsia-Fei Chang, the sound art pioneer Fujui Wang, and the Kinmen County Choir. This time, Mars told Artnet, the station will not be turned all the way up.